By LUDWIG VON KOOPA - Circumstances of a guaranteed disaster more horrific than the game contents. Now, I don't know anything about the Fatal Frame franchise, but according to my source (Wikipedia, if you must know), it's a series also known as Project Zero in Europe and it's a horror game from Koei Tecmo and published by Nintendo as of recently. You use the "Camera Obscura" to scare ghosts with photographs, including the titular "Fatal Frame" which I assume is really painful. I wouldn't want my ethereal picture taken either, but I guess it's better than being sucked up by a vacuum. The latest game (number five) is Fatal Frame: Maiden of Black Water. It's coming out in North America/Europe/Oceania this October (between this week and Halloween) but in a limited release, because I guess this series is super-niche and sells horribly. It was announced back in the April 1st Nintendo Direct, if you remember its one line of coverage. But it's been out in Japan since last year. Freaky diehard fans had this whole "Operation Rainfall" and "Operation Zero" (latter is Fatal Frame specific) campaign to get it localised. One of these freaks actually guest-posted on KoopaTV to drum up support and won a prize for it in our pre-Loyalty Program days. Shows that we value writing ability over if we agree with you. I guess they did end up succeeding, in... some capacity. Check out Nintendo of America's trailer below. Also, warning: This is "extremely spoopy" and rated M. I'll meet you after the page-break. So... that trailer wasn't appealing to me at all, but obviously I don't fall into this niche of survival horror fanatic. In fact, I'm too horrified to play this game, because I like happy atmospheres with cute characters, and I don't consider that girl to fall into that. Well I guess she's cute, but nothing else around her is. Pretty sure this is the maiden in question. Her eyebrows are drawn on with marker. The point of this article is to point out that this game is digital download only through the Nintendo eShop in North America. Well, what's wrong with that? We've endorsed many digital-only games before even if we're not totally happy about it, notably the 3DS Ace Attorney games. The issue is that the size of the game is 16 GB. Which means you will probably not have room to fit Fatal Frame V on your Wii U unless you get an external hard drive, which will be another $50 or more on top of the $50 you're spending for the full experience of Fatal Frame V.
I say "full experience" because it's one of those "free-to-start" games. You can play the "first two chapters" (whatever that means — are we talking Paper Mario: The Thousand Year Door length chapters or something akin to how long it'll take to read two book chapters?) for free and then upgrade to the full game for $50. Your $50 will help pay for this woman's face mask. She reminds me of humanoid Midna from The Legend of Zelda: Twilight Princess, except still wearing a mask. What does it mean if you enjoy digitally downloading a lot of games? It means you have a wide variety of genre interests, because the Wii U doesn't have enough of just horror games to make the console or a dedicated external hard drive for it cost-effective. But something tells me that most of these horror fanatics have different, narrower game tastes than, you know, I would. And I like to think my gaming interests are relatively broad! The difference between being a fanatic who can buy a physical copy and a fanatic who must buy a digital copy is that the extra investment into digital means you must have more games (or at least a few really long-lasting games) to fill up that space to make it cost-effective. Basically, the barrier to entry is higher both cost-wise and "how many games am I interested in that I'll also want to digitally download to make this whole thing worth it?" Since you'd be looking at paying over $100 just for a 15-20 hour game. Which is terrible. For those who state that the game has to be digital-only in order to be localised, then how come Europe gets a "limited time" physical release? Really, just answer that. There are probably even less people in Europe interested in the game than North America! We're talking sales potential of tens of thousands, max. By the way. There are people freaking out and boycotting the game or something because the Western localisations omit some skimpy unlockable costumes. These complainers sound like perverts, to me. In return, there will be Western-exclusive Nintendo-related costumes, such as Zero Suit Samus. Which may be even more fan-servicey? They try to claim it's censorship. You know, bitching about censorship for something like that makes KoopaTV's adamant crusade against censorship look incredibly... petty. Who cares about fan-service costumes...? By the way, this Princess Zelda dress is tons more cuter than anything else I've seen this girl in. A lot cuter with more clothes on. It comes down to this: Not many people are interested in this game anyway. Making it digital download only as such a large file game (and why the hell is it so big?!) are only going to crush who can actually obtain it. Combine that with the typical videogame player's whiny and counterproductive perverted negative responses to having their skimpy outfits removed, and this series is more dead than those camera-phobic ghosts. But before Fatal Frame dies, at least people have already taken plenty of pictures of it! 10 GB to download the first two chapters of Fatal Frame: Maiden of Black Water. So much for "free"-to-start. How am I supposed to try this game out if the "demo" is too big, too? Ludwig doesn't have a dedicated Wii U external hard drive and he really will be trying his best to avoid getting one, while still enjoying his Wii U to the fullest. He was so horrified by (and bad at playing) the ZombiU demo that he is strongly considering not even picking up the Fatal Frame V demo. He's not sure if that "demo" is the whole 16 GB or just the first two "chapters" worth of content, but he's avoiding it anyway. Ludwig loves cartridge-based physical games the most, not this digitally downloaded hard drive nonsense. I got a hard drive because I kept getting digital downloads due to Cluub Nintendo (Wonderful 101), promotions (Tropical Freeze at a discount for a DKC/L virtual console game which I got for upgrading my DKC2 VC game from Wii to Wii U for $1 and Pikmin 3 from the MK8 special) so a hard drive is already worth it for me. Meanwhile not interested in this game. ...I got around all that by giving away all that stuff through KoopaTV contests. I'd rather give the prizes out for free than get an external hard drive. Think about that. Yeah I know, you are not okay with digital downloads. Personally I am neutral about them. Prefer physical but okay with digital. I'm assuming you avoided the Nintendo Treehouse footage? It was much more disturbing to watch than anything in the trailers. You summed up my predicament perfectly in this article. I need external storage if I want to get this game, but it's hard to commit to the purchase when I might end up using it only for Fatal Frame. (Though it could be an excuse to search the eShop for anything and everything else that interests me. xD) Especially since there are no SMALL external storage options that I can find. However, I disagree with your assertion that diehard survival horror fans have narrow gaming tastes. Look at me! I also disagree with your thoughts on Europe. Either Europe has a bigger Fatal Frame market, or Nintendo has been making weird decisions for a while. 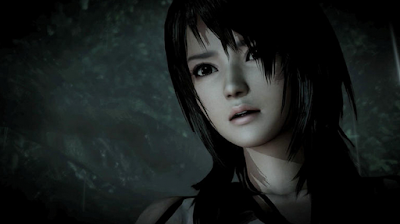 The remake of the second Fatal Frame game was released only in Japan and Europe. Now this one gets a limited edition exclusive to Europe. It suggests they at least THINK they'll get more sales there. I did avoid the Nintendo Treehouse footage. Yes, the only external storage options are apparently at 1 TB and higher. The smaller, cheaper options aren't made anymore and are rare. And not all the hard drives you can get are even COMPATIBLE with the Wii U! That's ridiculous. Diehard survival horror fans get off on the excitement of the survival horror-ness that aren't replicated in other games. I admit I don't have data on this, however. I have dubious data from an awful source to back up my thoughts on Europe. North America is higher in everything where there is presence in the comparing regions. Even if it's inaccurate, the numbers are so low anyway that if there was a difference it'd probably be insignificant. The costume stuff IS ridiculous. But yeah, I don't want to associate with these "anti-censorship" people. Can I be bothered that they sell the larger ones cheaper than the 500 GB one? Well I bought this a long time ago before the bigger ones were made cheaper so I was not ripped off then. Looking at the other external memory options, the only reason they are cheaper is because they are taking the price from the refurbished ones first as Amazon itself is not selling them but from a Marketplace seller. Mine was new when I bought it. Is there a way to edit? If not then I will feel afraid to ever comment again here if i have more thoughts I want to add and I can't edit. What you can do is copy your comment, delete it, paste it into a new comment along with the new thing you gotta say. ...I personally have to resort to this method and I own the thing. "Diehard survival horror fans get off on the excitement of the survival horror-ness that aren't replicated in other games." You make it sound like a fetish. XD Believe it or not, even though I love survival horror gameplay, I also love RPG gameplay, and Ace Attorney gameplay, and many others. It doesn't have to be narrow. It CAN be, but doesn't have to be. I'm pleased to see the majority of people in the Gamefaqs poll are reasonable. Sounds like Fatal Frame is just afflicted with a vocal minority. Storage... I should just give in and get it. Knowing the context of the controversy would have to mean I'd indulge in spoilers! But now YOU just spoiled the story! Or something. Sounds contradictory of your earlier remarks of spoilers in comments sections. So either the game is actually 10 GB total and they shaved off 6 GB, or the prologue + two chapters are 10 GB and once you pay $50 you get 6 more GB? You know the story here? From what I've heard, the game is actually around 14 GB, with the majority included (but locked) when you download the demo. So basically the demo is a huge memory sink. Jerks. Because it's saying the girl dresses totally differently and... less, at a point in the story. That's revealing a plot detail! I buy a lot of digital Wii U games (And I do mean a LOT) so I had absolutely no qualms with purchasing a hard drive for the game. It was really nothing more than a minor inconvenience, really. And boy, do I not regret it. The game is fantastic. My only real complain about it is that it isn't scary enough. The game has some really great atmosphere, really creative gameplay mechanics, and adorable babes. I'd absolutely recommend trying out the demo, at least.It's actually quite lengthy, it took me a couple of hours to clear it. You definitely get a feel for what you're getting into when you play it, and boy is it a treat. It's not scary enough? Well, that should disappoint some people (hey Samantha Lienhard where are youuuu?). Have you played other games in the Fatal Frame series? I think the demo contains a little under half of the data. I don't think that alone will murder your internal memory... I think it's about as big as the Prime Trilogy. 6 GB, I think? Honestly, I think I'm just not squemish enough for the gmae. It bothers me when I'm really tired and really don't want to fight ghosts. I got a little taken aback when I got to the shrine and spent nearly two hours running around not accomplishing anything in a very dangerous area. If I'm awake, the game's pretty straight forward, and actually somewhat forgiving difficulty wise. Healing items are everywhere, for example. 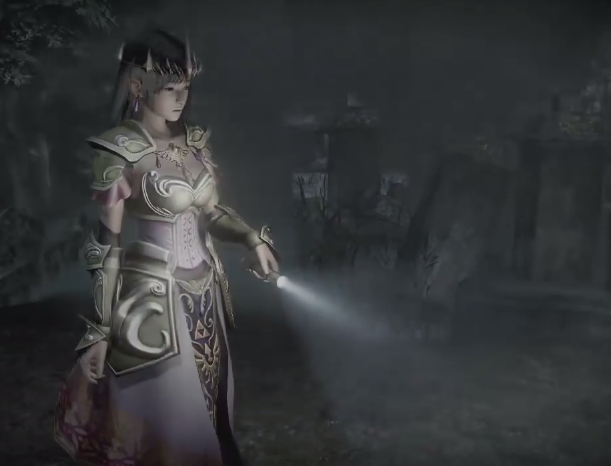 I've never played a Fatal Frame game before, but now I'm actually very interested. I'd like to finish Maiden of Black Water before I decide which game to try first, but I am really enjoying my time with the game. See the last picture in the article for how the demo contains over half the data and how I would need to delete things to fit it. That's just a fact. Thanks for the other perspective on Fatal Frame, though I'll say I'm personally pretty squeamish. I don't mind if it's hard or not (though I guess ZombiU's demo being too hard for me contributed to my dislike for it).